We pride ourselves on being the best wood chipper retailer on the Internet. In addition to specializing in wood chippers, we also spend a lot of time with chipper attachments and accessories. 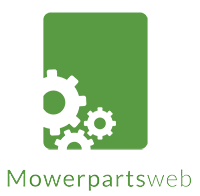 For those harder-to-find parts, we recommend contacting MowerPartsWeb by visiting MowerPartsWeb.com. Their customer support staff excels at selling wood chipper replacement parts. Wood Chipper Parts.. Our Power Equipment Direct how-to library can help you learn about A Guide to Power Carts and Wheelbarrows, Proposition 65 Product Labeling and Sales Tax Information.